AKM (Ngankam Ange ) is a multi-talented dancer whose energetic and stunning dancing prowess has attracted fame and endorsements. 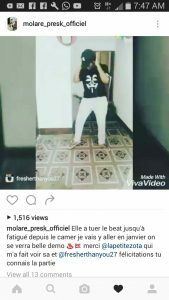 Popular Decale singer Molare recently commended her on Instagram for her striking dance moves and Zota, frontline dancer for Serge Beynaud is equally impressed by her dexterity. 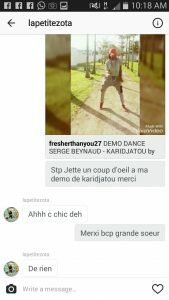 Her viral demo dance video of Serge Beynaud’s song “Karidjatou” also caught the attention of Mr Leo who posted it on social media. She was born on the 27th of May 1996 in Yaounde and grew up in Douala. She was passionate in dancing since primary school , started doing choreographies, dance showcase, dance video demos and dancing competitions in secondary school. The first music video she took part was at lowersixth. 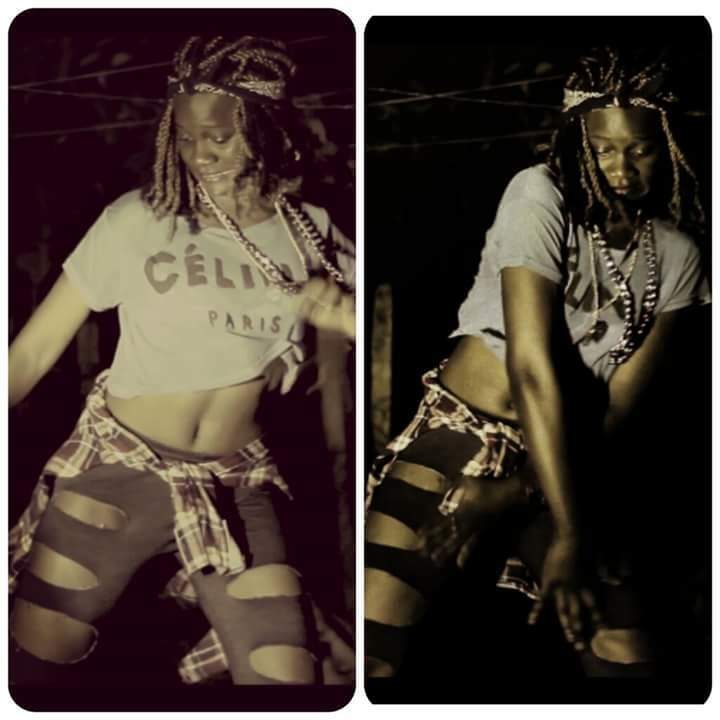 During her first year in university (Catholic university of Buea), in 2012 she was awarded Best female dancer and best newstyle dancer in South West by the competition BATTLE NATIONAL DU CAMEROUN . Same year she choregraphed many music videos like ” I cut u cafe” by Steve’Slil, “original makossa” by Da Realm Squad and many others . Between 2013 and 2014, AKM participated at SLOY Campus Tour and clinched the 2nd position in HIP HOP DANCE Category. She worked with the artist Daphné, for some of her concerts , choregraphed in P Brodaz ft Arafat’s music video (makatswatsi), Wax Dey ft Kayswitch -“mbaghalun”, and most of Mel B Akwen’s songs. In 2015, AKM came in contact with the award-winning dancer Brenda Dery , did a viral dance video with her on the song “Bendown pause” by Wizkid . That same year she opened a dance school at Beno Bakery (Bonduma). In 2016, she started working with Mr leo and choregraphing his music for shows and tours. 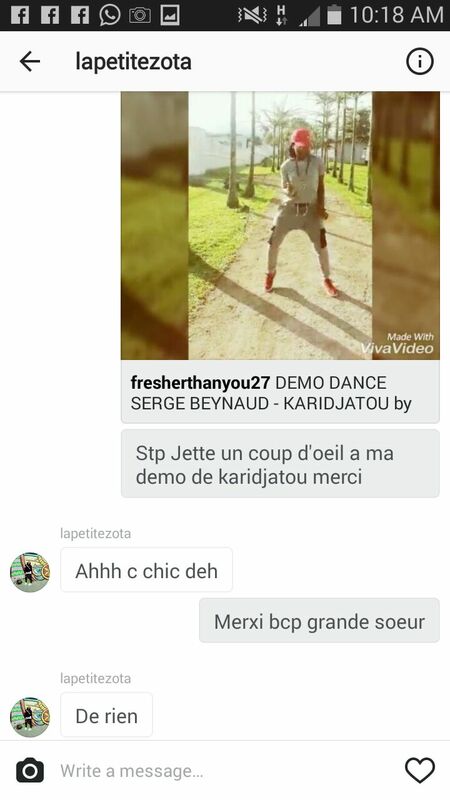 She choregraphed some music videos like “Décharger” by DUCZ , “Jum dans le way” by Galaxy J One etc. With her resilient spirit, hardwork and urge for greatness , AKM hopes to get better and make greater strides in the industry.